Come see this charming property located in a great Florence Adult Community! 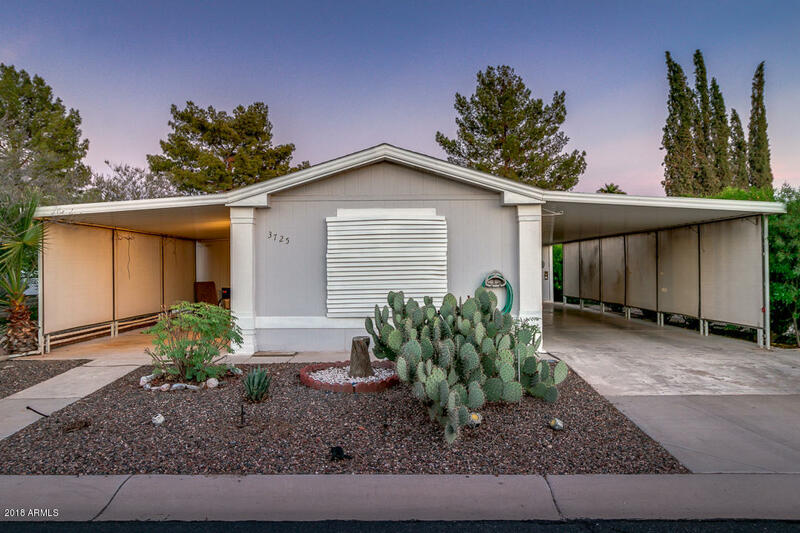 Featuring desert landscaping, 2 space carport, and front covered patio. This lovely 2 bed, 2 bath home is waiting for you to move-in! Immaculate interior boasts formal living room, dining area, plush carpet, vaulted ceilings, neutral paint, and an Arizona room perfect for relaxing. Kitchen is equipped with nice appliances, spacious cabinets, and breakfast bar. NEW AC 2017. NEW Water Heater 2016.Master bedroom includes a full bath. Fenced yard with 2 convenient storage sheds. Large sectional and 2 TV's stay with home. Call to schedule a showing today! It won't last long!